Inky Dream: Blog Candy for a Cause. My fellow DT at Kaboodle Doodles Cammy has put together an amazing batch of candy! All in raising awareness of Type 1 Diabetes. You can head over to hear her story, make a donation and see all the great sponsers contributing. 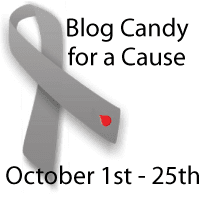 Thank you Farrah for posting about the blog candy! I greatly appreciate it!